An often unappreciated piece of kit, a high-quality PSU will enhance the reliability of your PC. 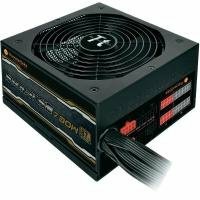 It is always a good idea to upgrade your Power Supply Unit as the models supplied with a computer are sometimes of an inferior quality. Adding a new unit with a higher wattage and efficiency rating will improve the performance and stability of your system. The PSUs featured on this page have a power output of between 601 and 750W. Scroll down the page to check out our latest deals and order today for fast UK delivery straight to your door.